"Stand By Me," "Is That All There Is," "Kansas City," "Poison Ivy," "Jailhouse Rock," "Spanish Harlem," "Love Potion #9," "Hound Dog." All songs by Mike & Jerry. Better known as Leiber & Stoller. 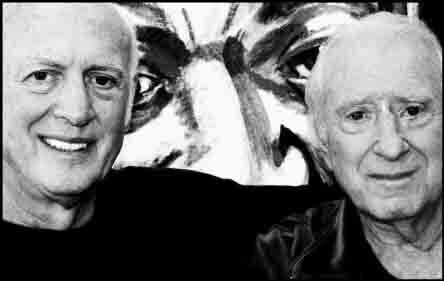 Mike & Jerry in their office on Sunset Boulevard, 2006. 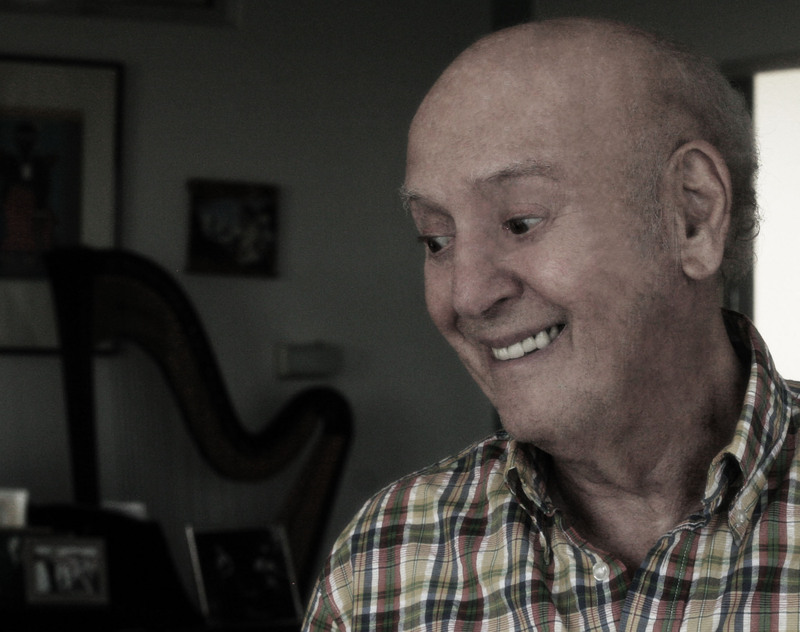 "Well, you know," Mike Stoller said back in 2006, "sometimes when you're being interviewed you give a very quick answer." He said this about one of the many prevalent and inaccurate Leiber & Stoller myths. Which is why we're especially grateful to Mike for taklng the time to talk unrushed about his remarkable life and work, and to not only correct the record, but add so much more to it. 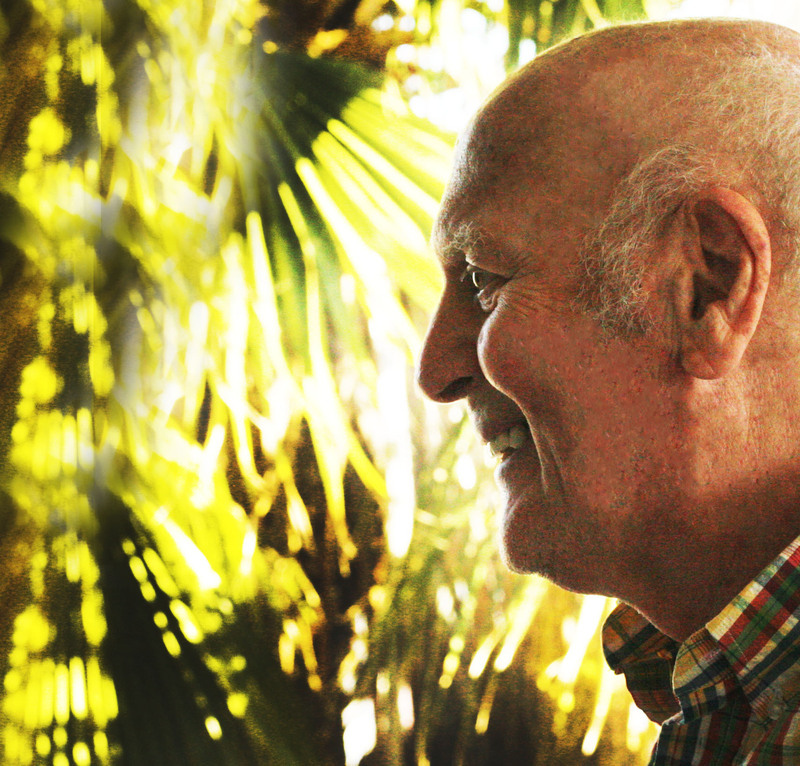 We conducted this interview with his at his home on a beautiful August day in the beautiful home high in the Hollywood Hills he shares with his wife, the legendary harpist-singer Corky Hale. 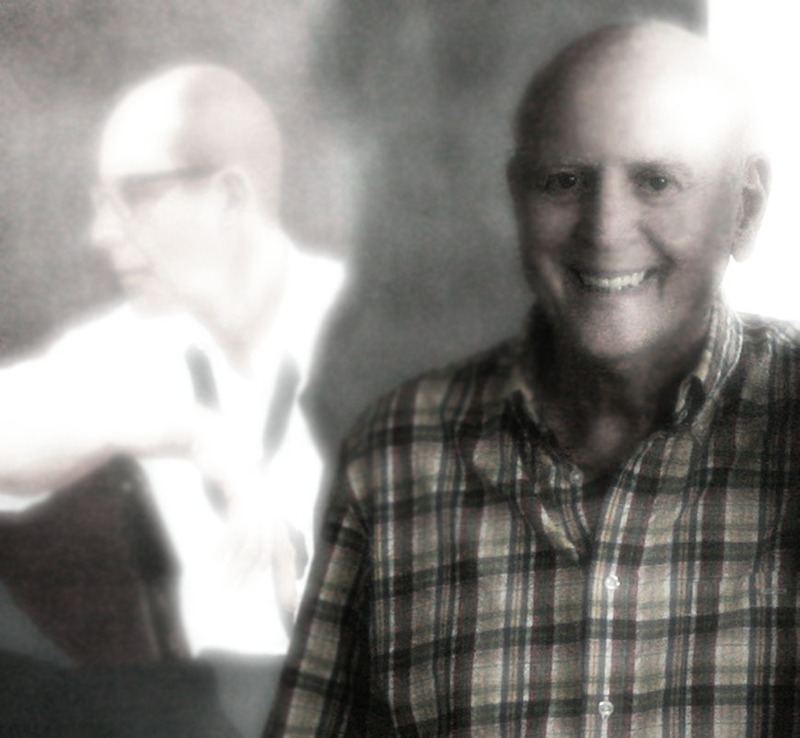 With two grand pianos, Corky's harp, beautiful giant paintings, photographs, sunlight streaming and a stunning view of Los Angeles glimmering in the distance all around us, it was a joyful and luminous setting for a talk with Mike Stoller. Especially poignant was to hear him talk in great depth about the brilliance, whimsy, and prodigious talent of his late great partner, Jerry Leiber, who died in 2011. Jerry wrote the words, and Mike the music, and they came together just as Ira and George Gershwin did a couple of decades before them, to write songs for America and the world to revel in. But unlike the Gershwins, the most famous songs that Mike and Jerry created were part of a new era. They were the architects of a new sound, a new craze, a new era of wild rhythm and bluesy tunes. It was rock and roll. It was a bridge from the blues – in which both Leiber & Stoller were well-versed – to popular music, a bridge they built themselves. It is true, though, that, as reported, Mike didn’t like the idea of writing songs with Jerry when they met in 1950. It’s not true, though, as has often been quoted, that he said he didn’t like songs. What he said he didn’t like were popular songs. He preferred jazz and blues. The hip stuff. But when he realized that the young Jerome Leiber had written not pop songs but blues, a bridge was built between them that stood for six decades of work, and is solid forever. Then, of course, they went onto write and produce a remarkable bounty of hit records - and many of the most famous hit records of all time. But it all started, as related here, with the blues. They weren't aiming for the pop stars. They wanted the kings and queens of the blues to sing their songs. They wanted Big Mama Thornton. And their dream came true. They were the first independent record producers to be officially designated as producers – ‘producer’ being a title they invented themselves (they wanted ‘director’) – but they started producing records only in self-defense, as they explain it, to ensure that their songs wouldn’t be wrecked. He also expounded and extended some of the famous stories he told with Jerry, adding dimensions previously unspoken. 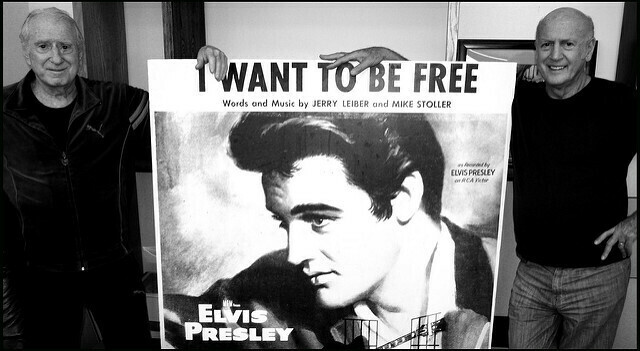 One amazing example is a story about a movie he and Jerry had set up to star Elvis for which they'd write all the songs, and it would be directed by Elia Kazan. The Colonel's response, as Mike relates, was less than positive, and says so much about the wrong choices he made, and their impact. Louise has known Mike for years - and he knew her parents well, another legendary songwriting team - Goffin & King. He speaks about both in our talk with much love. That warmth extended through our whole conversation - towards Jerry, to his wife Corky, and their life. He also spoke about something rarely discussed - how many of their songs were informed and inspired by their politics, and their ongoing effort since the start on behalf of social justice. 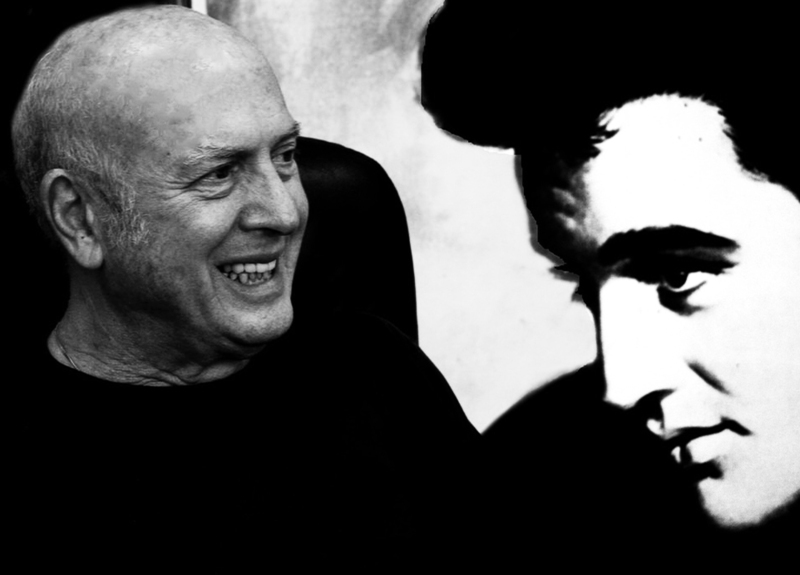 We're proud to present part one of our two-part series with Mike Stoller. Part II will post on New Year's Eve. Till then, Merry Christmas, Happy New Year, with dreams forever for Peace on Earth. All Photos by Paul Zollo. Leiber & Stoller together taken on September 11, 2006 in their offices. 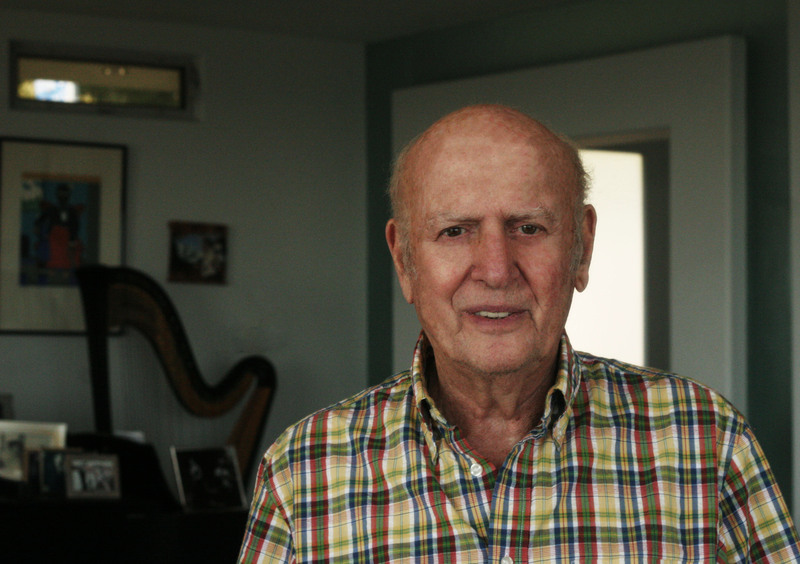 Mike Stoller alone taken on August 7, 2018 in his home.